Large numbers of Irish and Irish-American Civil War soldiers were also members of the Fenian Brotherhood. The workings of this movement, and how it interacted with the conflict of 1861-65, has been the topic of a number of posts on this site. However, we have not previously looked in any detail at the participation of Civil War veterans in Fenian operations in the years following 1865. 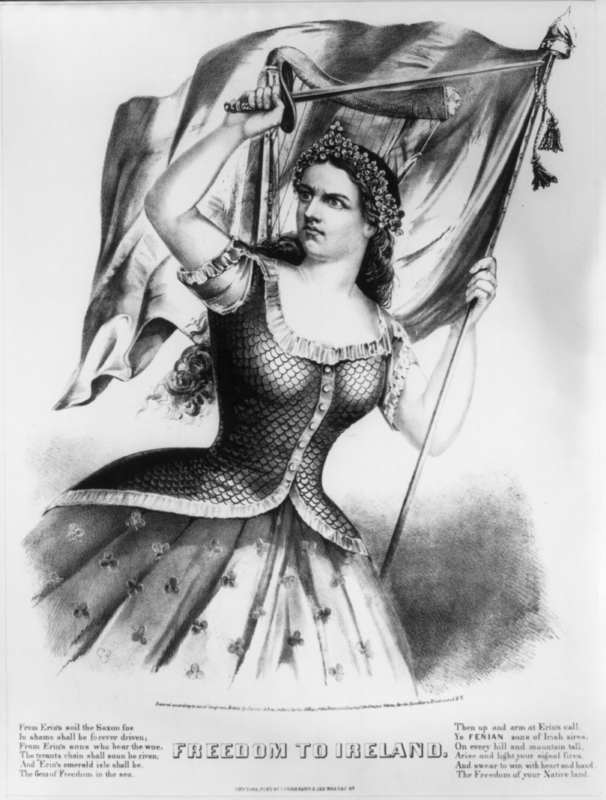 In the first of a two-part guest post examining such links, James Doherty takes up the challenge of telling the remarkable story of the Erin’s Hope, the vessel that set sail from New York– packed with weapons– with the intention of supporting the 1867 Fenian Rising in Ireland. John Warren, Captain of Company B, 63rd New York, Irish Brigade. One of the Fenians who was on board the Erin’s Hope. 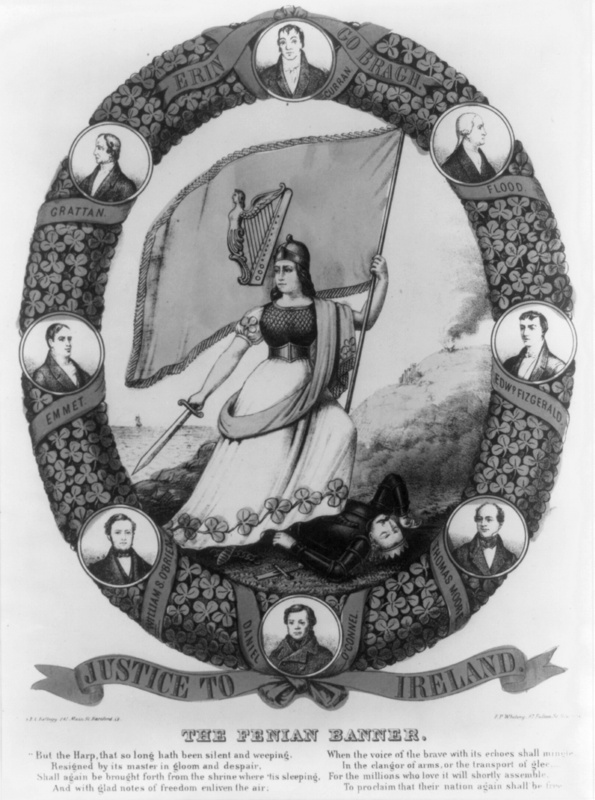 By 1858 the Fenian Brotherhood had formed in the United States, working in tandem with the Irish Republican Brotherhood (IRB) in Ireland. Both organisations were pledged to violent rebellion. By the outbreak of the Civil War the Fenians had heavily infiltrated the militia system and openly recruited through the course of the conflict. The Fenians made little attempt to hide their recruiting activities (See Michael Kane’s post on Fenianism in the Army of the Potomac here). However, ultimately it would seem that many Fenian members had little appetite for insurrection and treated the organisation more as a fraternal club. In an effort both to further strain diplomatic relations and to exert pressure on the British government to withdraw from Ireland, the Fenian movement launched a series of cross border raids into Canada between 1866 and 1871. 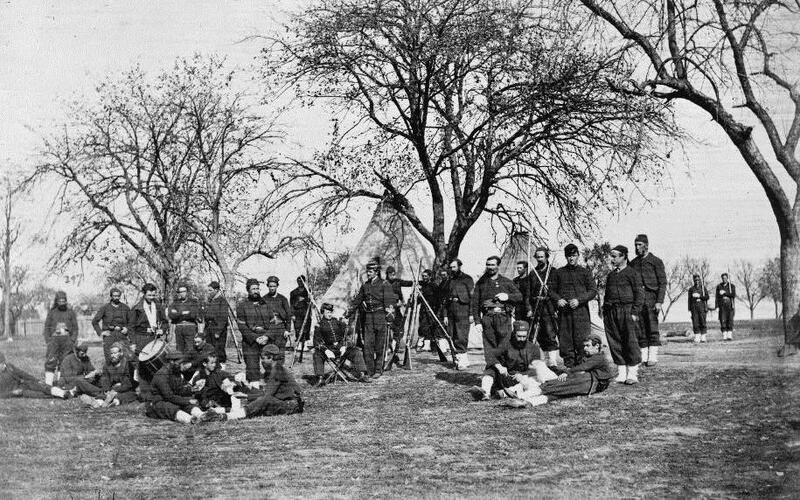 The majority of the Fenians involved were veterans of the Civil War. Although the raids failed in their overall strategic aims, they demonstrated the complex international nature of the Fenian question, with large bodies of armed men massing on American soil to attack territories belonging to the British Empire. 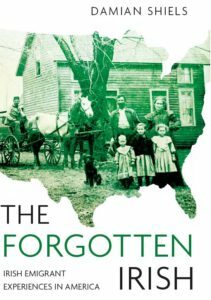 To further complicate matters many of these Fenians had now adopted American Citizenship. Not content with trying to manipulate the geo-political relationship between the United States and the British Empire, in 1867 the Fenians dispatched a shipment of arms to Ireland in support of a planned rebellion. Displaying a flair for the dramatic, members of the Fenian movement delivered a copy of their proclamation demanding independence to the offices of The Times on the eve of the insurrection, which was planned for the 5th of March. I.R. Proclamation! The Irish People to the World. We have suffered centuries of outrage, enforced poverty, and bitter misery. Our rights and liberties have been trampled on by an alien aristocracy, who, treating us as foes, usurped our lands and drew away from our unfortunate country all material riches. The real owners of the soil were removed to make room for cattle, and driven across the ocean to seek the means of living, and the political rights denied to them at home; while our men of thought and action were condemned to loss of life and liberty. But we never lost the memory and hope of a national existence. We appealed in vain to the reason and sense of justice of the dominant powers. Our mildest remonstrances were met with sneers and contempt. Our appeals to arms were always unsuccessful. To-day, having no honourable alternative left, we again appeal to force as our last resource. We accept the conditions of appeal, manfully deeming it better to die in the struggle for freedom than to continue an existence of utter serfdom. All men are born with equal rights, and in associating together to protect one another and share public burdens, justice demands that such associations should rest upon a basis which maintain equality instead of destroying it. We therefore declare that unable longer to endure the curse of monarchial government we aim at founding a republic based on universal suffrage which shall secure to all the intrinsic value of their labour. The soil of Ireland, at present in the possession of an oligarchy, belongs to us, the Irish people, and to us it must be restored. We declare also in favor of absolute liberty of conscience, and the complete separation of Church and State. We appeal to the Highest Tribunal for evidence of the justice of our cause. History bears testimony to the intensity of our sufferings, and we declare, in the face of our brethren, that we intend no war against the people of England–our war is against the aristocratic locusts, whether English or Irish, who have eaten the verdure of our fields–against the aristocratic leeches, who drain alike our blood and theirs. Republicans of the entire work, our cause is your cause. our enemy is your enemy. Let your hearts be with us. As for you workmen of England, it is not only your hearts we wish, but your arms. Remember the starvation and degradation brought to your firesides by the oppression of labour. Remember the past, look well to the future, and avenge yourselves by giving liberty to your children in the coming struggle for human freedom. Herewith we proclaim the Irish Republic. Once underway, Cavanagh initially set sail for the Cork coast where he had been led to believe some of the Fenians were holding out. However, bad weather and the necessity of playing cat and mouse with Coast Guard cutters meant that it was the Waterford coast where they ultimately arrived, appearing near Helvick on June 1st. At this stage the members of the expedition were getting desperate; they hailed a fishing boat and asked to brought ashore. The local fisherman (under considerable duress) duly landed 32 of the Fenians. They were soon spotted by a vigilant Coast Guard, who immediately raised the alarm. At face value, the security surrounding the Fenian prisoners may have seemed excessive, but subsequent events would prove otherwise. In addition to the main body of Fenians who had been detained and brought to Dungarvan, a smaller party of four had been arrested heading towards Cork. Initially brought to Youghal, they were soon to be reunited with their compatriots in Waterford. Just after 9pm the reinforced party left the Police Station heading for the gaol. The force of police now measured forty on foot and fourteen mounted. However the crowd had also grown in force, and was made up of ‘salters and labourers with a sprinkling of fisherwomen who would prove the most formidable of assailants.’ A full scale riot ensued, with the prisoners receiving many blows in the chaos as the police battled their way towards the safety of the gaol. The British administration’s concerns regarding the Irish–American Fenians now changed from a military one to that of a political nature. Most of the Fenians were American citizens, and they hadn’t actually committed any crime on British soil. The evidence for any planned insurrection (the munitions) had sailed off into the sunset. However, the authorities in Ireland had suspended Habeas Corpus which meant that they could indefinitely detain the prisoners without having to prove their guilt. The rank and file members of the Fenians were released on the promise that they apologised for their actions and left the country; by early 1868 only eight prisoners remained. These consisted of Nagle and seven others who refused to apologise for their actions. A suitable jury couldn’t be found for Nagle and as the suspension of Habeas Corpus was due to end, the remaining prisoners were released, leaving just Costello and Warren incarcerated. Both Costello and Warren continued their letter writing as public pressure mounted in the United States. Eventually Warren was released in May 1868. Fenian activity had continued whilst the members of the Erin’s Hope expedition were in prison. In September 1867 a policeman was killed in Manchester during a breakout of Fenian leaders from a prison van. Two policemen were gunned down in October in the Temple Bar area of Dublin and a botched prison break led to 12 deaths when Clerkenwell Prison was bombed. Although militarily a failure, the Erin’s Hope expedition and other ‘Fenian outrages,’ as they were often referred to at the time, caused a great deal of concern amongst the British authorities. The Irish Constabulary were granted the prefix Royal by Queen Victoria as a reward for their role in suppressing the rebellion. In addition the construction of five new Coast Guard Stations was started in 1867 to further protect the coast; a sign of how seriously the authorities viewed the Fenian threat. The Irish Militia (reserve army) was effectively disbanded from 1866 – 1870 due to fears of Fenian infiltration. The numbers of regular British army troops whose loyalty was not in question deployed in Ireland also increased during this period. Whatever about the material results of their 1867 efforts, the Fenians had succeeded in keeping the issue of Irish Independence to the fore. Part two of this post will examine a number of the other Fenian incidents, touched on above, which involved Union veterans of the Civil War. The information below is drawn from a combination of Michael Kane’s 2002 paper ‘American Soldiers in Ireland, 1865-67’, John Devoy’s Recollections and the rosters of New York regiments. Captain Cavanagh who commanded the Erin’s Hope, was, according to John Devoy, a Lieutenant in the Union navy during the Civil War. Ricard O’Sullivan Burke from Kinneigh, Co. Cork enlisted in the 15th New York Engineers at the age of 23 on 9th May 1861. Promoted through the ranks to officer grade, eventually becoming Captain of Company C on 29th May 1865. He mustered out with his company at Fort Barry, Virginia on 13th June 1865. John Corydon (Corridan) the Fenian informer, was originally from Co. Kerry. He enlisted as a private in the 63rd New York Infantry, Irish Brigade, on 19th October 1861 as a 21-year-old. 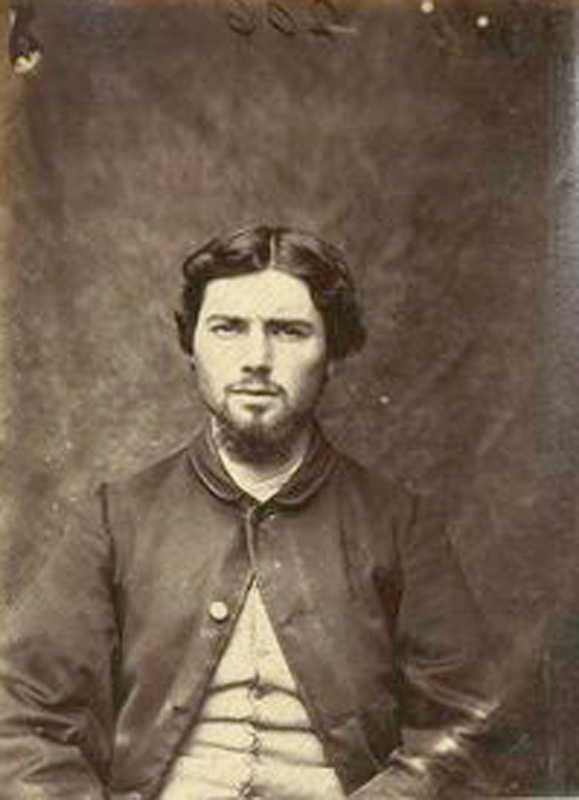 Promoted to Hospital Steward in 1862, he re-enlisted as a veteran volunteer and mustered out with the regiment on 30th June 1865 at Alexandria, Virginia. He serve as Head Centre in the Smyth Circle of the Army of the Potomac, which was for Fenians who were enlisted men in the Irish Brigade. William Nagle was from Lewistown, New York. He originally served in the 13th New York National Guard before enrolling as Captain of Company F, 88th New York Infantry, Irish Brigade on 15th December 1861 at the age of 31. He mustered out following the consolidation of companies on 13th June 1863 near Falmouth, Virginia. John Warren from Clonakilty, Co. Cork mustered in as Captain of Company B, 63rd New York Infantry, Irish Brigade on 14th August 1861 at the age of 27. He was dismissed on 28th February 1862 but returned as Captain of the same company on 9th April 1862, prior to being dismissed again dated from 17th September 1862. Waterford County Museum: The Fenian Landing at Helvic. Rosters of the New York Volunteers During the Civil War. Devoy, John 1929. Recollections of an Irish Rebel. Kane, Michael H. 2002. ‘American Soldiers in Ireland, 1865-67′ in The Irish Sword: The Journal of the Military History Society of Ireland, Vol. 23, No. 91, 103-140. Malcolm, Elizabeth 2002. ‘Investigating the “Machinery of Murder”: Irish Detectives and Agrarian Outrages, 1847-70’ in New Hibernia Review Volume 6, No. 3, Autumn 2002, 73-91. Ramon Garcia, Marta 2010. ‘Square-Toed Boots and Felt Hats: Irish Revolutionaries and the Invasion of Canada (1848-1871)’ in Estudios Irlandeses 5, 2010, 81-91. Sim, David 2013. A Union Forever: The Irish Question and U.S. Foreign Relations in the Victorian Age. Steward, Patrick & McGovern, Bryan 2013. The Fenians: Irish Rebellion in the North Atlantic World, 1858-1876. Very interesting on the Fenian movement, it seems we know very little of it here. Both my G grandfather & his brother were in the Bull Run 69th New York Militia. Which we know was Fenian. After Bull Run, they waited for Corcoran to return and joined the 170th, another Fenian strong hold. My son Rich (Captain) commanding officer in the present day 69th, uncle was in the 170th also and was KIA at Cold Harbor. Our G uncle was KIA at North Anna River with the 170th. It seems there is no list or notes around from the 69th Militia, on who was a Femian in the regiment. But the civil war, sure killed off a lot of good Fenian fighters. Just to note on the present day 69th New York, they are sleeping in the field tonight across from West Point, at Camp Smith, doing there active duty weekend. very interesting to see how ‘Fenianism’ spread into the Union Army, is there any evidence of it being in the Confederacy? There were certainly Confederate Fenians, though not in the same numbers as in the North (understandably). You come across them more in ones and twos than in groups though. Aha – great to find out more about Ricard! Thanks for alerting me to this, and what an interesting post!